Wilkins Fadhili, a man that was exposed for being a con man and using popular entertainers’ names to swindle thousands from Kenyans, is banking on sympathy in an effort to clear his name and avoid looming law suits. 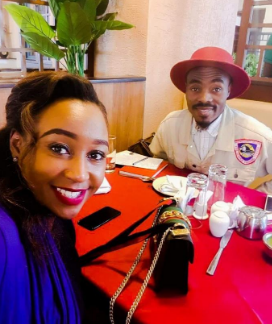 Fadhili, who was blasted online for his con games that have seen him pretend to be a renowned brand strategist, messaged K24 Betty Kyalo begging her for forgiveness after his act. Hello Betty I would like to say I’m really sorry for using your name. 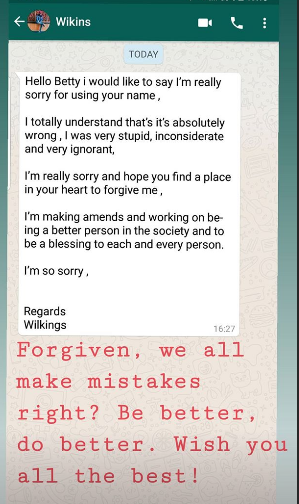 i totally understand that its absolutely wrong, i was very stupid, inconsiderate and very ignorant, I’m really sorry and hope you find a place in your heart to forgive me. I’m making amends and working on being a better person in society and to be a blessing to each and every person. I’m sorry,” he texted Betty. 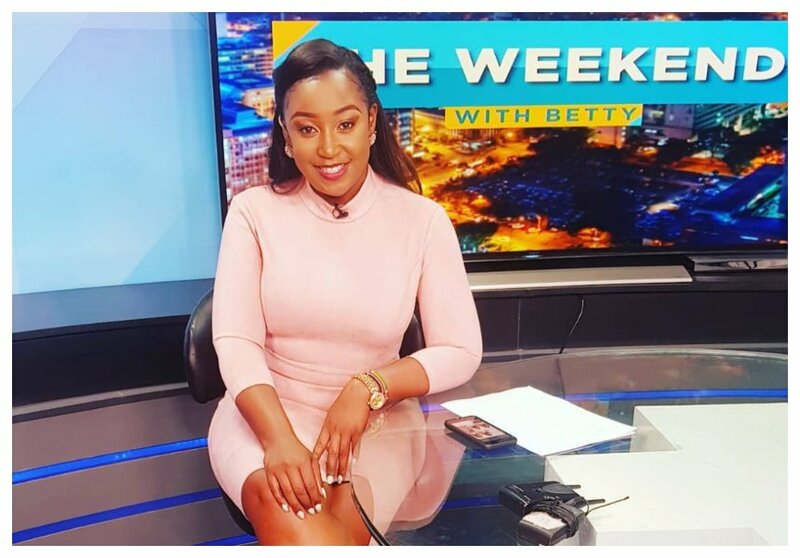 Betty posted the message on social media saying he has forgiven the young man. “Forgiven Wilkins. We all make mistakes, no one is perfect. We can only aspire to be better and then do better. I wish you well. God bless,” she said.